Bushophiles say that Florida Governor Jeb Bush, currently considering running for president in 2016, is the “Best Bush.” Considering the previous two, that’s not saying much. This entry was posted in and tagged 2016 presidential campaign, death camp guard, George Herbert Walker Bush, George W. Bush, Jeb Bush, Nazis, political dynasty, Tumor, Virus on December 22, 2014 by Ted Rall. SYNDICATED COLUMN: Ebola Is Here in America. Why Aren’t We Angry? It was clear from the tone of the coverage of Ebola’s arrival in the United States that media gatekeepers expected people to be surprised by a Dallas hospital’s decision to turn away U.S. Ebola Patient Zero from the emergency room. It was, by any standard, a colossal screw-up, one that might easily have been avoided. The man was Liberian. He’d informed ER staff that he’d recently traveled to Liberia, the epicenter of the Ebola outbreak in West Africa. 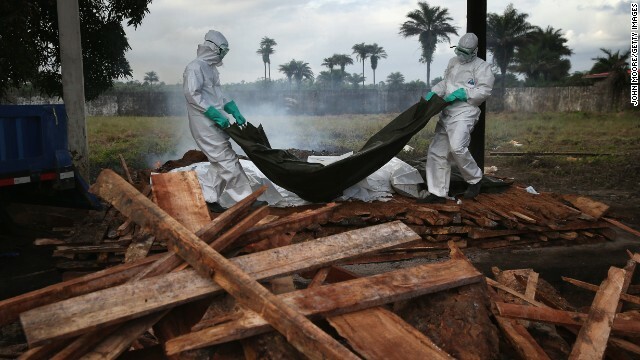 His symptoms — he vomited en route to the hospital — were consistent with Ebola. Despite having all the information they needed to make a proper diagnosis and having received alerts from the Centers for Disease Control to be on alert for people arriving from West Africa with flu-like symptoms, the hospital turned him loose, where he is believed to have directly exposed at least 100 people to the deadly virus. It’s an outrageous lapse, yet Americans weren’t outraged. Why would we be? Anyone who deals with the U.S. healthcare system has experienced its systematic incompetence. “Gunshot wound!” an intern shouted when my friends carried me in. Obviously it worked out ­— here I still am, writing and complaining. If you live in New York, and you’re really really sick but not visibly bleeding, you might want to shoot yourself. Hey, doc, while you’re dressing that bullet in my thigh, can you look at the dent in my skull? The Dallas Ebola incident reminded me of an evening I spent with my friend Cole Smithey, the film critic. “My finger is bothering me,” Cole whispered to me during a screening. After the lights came up, he showed me an index finger that had expanded to nearly double its normal width. We drew the same conclusion: an insect bite, most likely a spider. Swelling tends to be greater on extremities. As the night wore on, however, the swelling got worse and more painful. We searched in vain for the telltale double marks of a spider bite. Cole is a stoic guy but his agony was obvious. Around 11 pm we appeared at the emergency room of Lenox Hill Hospital on the Upper East Side of Manhattan — a stone’s throw from New York Hospital where, New Yorkers remember, Andy Warhol died of medical neglect. We waited. The pain got worse. When we consulted the triage nurse, she took a quick look at Cole’s hand, which by then was swollen nearly down to his wrist, and told us to leave. “Go the pharmacy and get some Benadryl,” she ordered. We followed her advice. Cole took the Benadryl and went home. Turned out he had an aggressive form of flesh-eating bacteria. Unable to sleep, he took a cab at 5 am to a private 24-hour clinic where doctors immediately recognized the symptoms and began pumping heavy-duty antibiotics via an IV. It was touch and go for a few hours. Like the Ebola failure in Texas, my friend’s near-death experience due to an idiot in the ER is an outrage — and common occurrence. Every American can tell a similar story. It’s been this way for as long as we can remember; it just keeps getting worse. As the Ebola scare demonstrates, a nation that shortchanges its healthcare infrastructure is due for an awful reckoning. But good healthcare is incompatible with corporate capitalism. As long as medicine is a business rather than a privilege guaranteed by the government to every citizen at no cost, hospitals will be short-staffed, too small for their communities, riddled with workers who are overworked, demoralized and/or inept. This entry was posted in Blog, Columns and tagged Bendaryl, CDC, contagion, Dallas, Disease, Ebola, emergency room, flesh-eating bacteria, Healthcare, Hospital, Liberia, pandemic, Sierra Leone, Virus on October 2, 2014 by Ted Rall. The video game “Budget Hero” lets players try to balance the federal budget. What if all problems are solved by video games in the future? This entry was posted in and tagged Budget Cuts, Computer, Debt Limit Crisis, deficit spending, federal budget, Foreclosure, gamers, Internet, matrix, national public radio, npr, prayer, taxation, Video Games, virtual, Virus on July 27, 2011 by Ted Rall. Just when you think Obama was done bending over backwards to please right-wing Republicans–voting for the Iraq War over and over and over, voting for the Afghan War over and over and over, proposing an Afghan surge, voting to gut FISA–he flip-flops on offshore oil drilling, an issue that had been settled decades ago. As I ask so often…what next? This entry was posted in and tagged Bipartisan, Bipartisanship, Cat, Compromise, David Cronenberg, Energy Policy, FISA, Human Form, Jeff Goldblum, Kingdom, Obama, Offshore Drilling, Oil Policy, Phylum, The Fly, Virus on August 7, 2008 by Ted Rall.